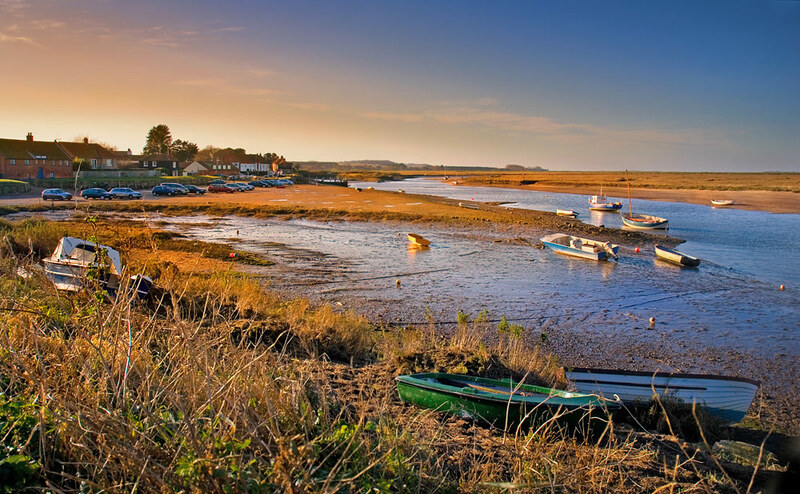 Burnham Overy Staithe’s name means ‘homestead by a stream’. 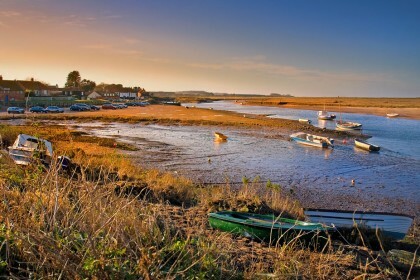 There are two settlements, Burnham Overy Town – the original (now) small village and the larger Burnham Overy Staithe, about a mile away and next to the harbor. 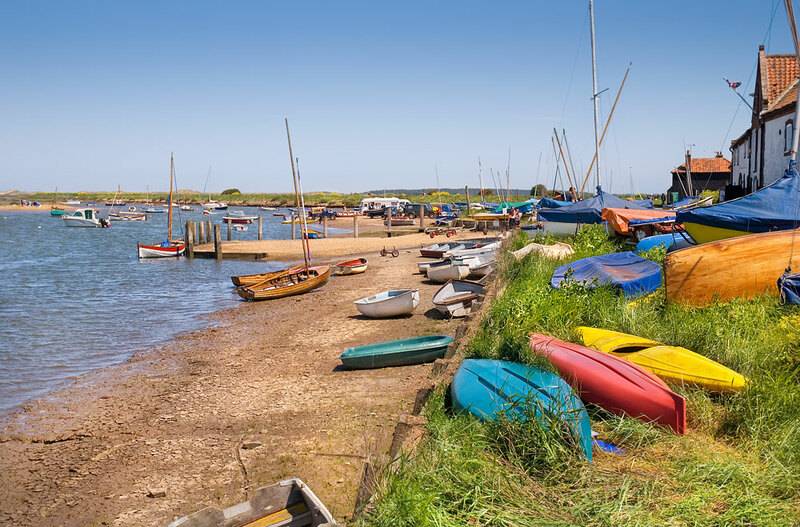 To make things slightly more complex, the ‘Town’ is about 1 mle from the larger Burnham Market in one direction and Burnham Thorpe, birthplace of Nelson, in the other. 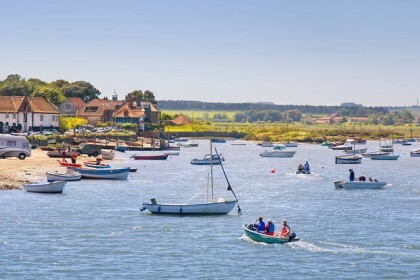 Until about five hundred years ago, ships could navigate as far as Burnham Overy Town, but no longer as the inlet has silted up. 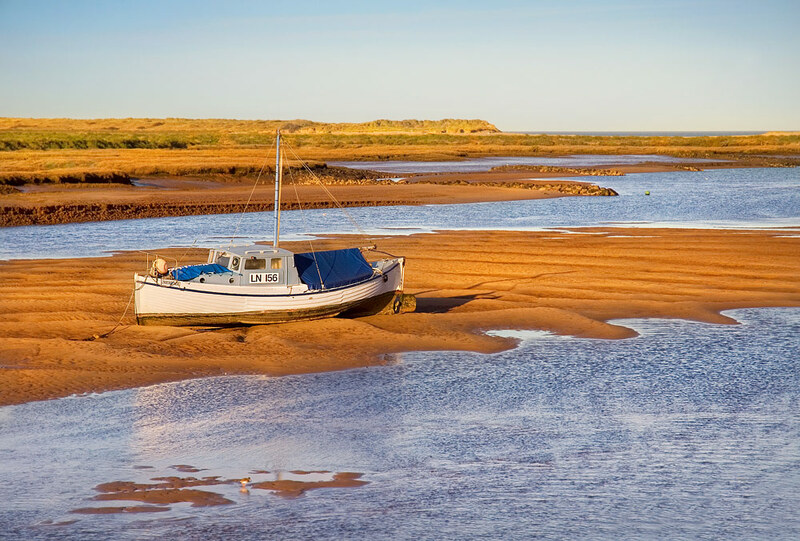 A lovely walk of about one and a half miles leads from Burnham Overy Staithe to the beach. 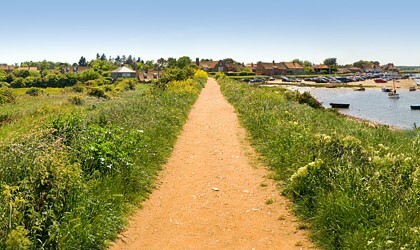 Walk through the village past the harbour and once again into the floodbank. 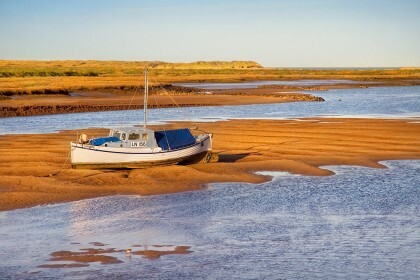 A ferry may be taken from here to Scolt Head Island. 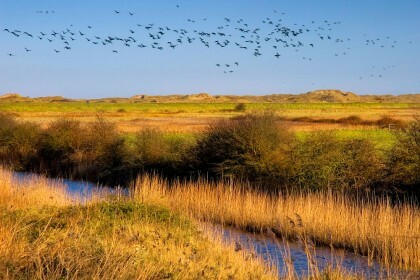 The ‘island’, so called, is left entirely to nature’s whims and natural processes take their due course. 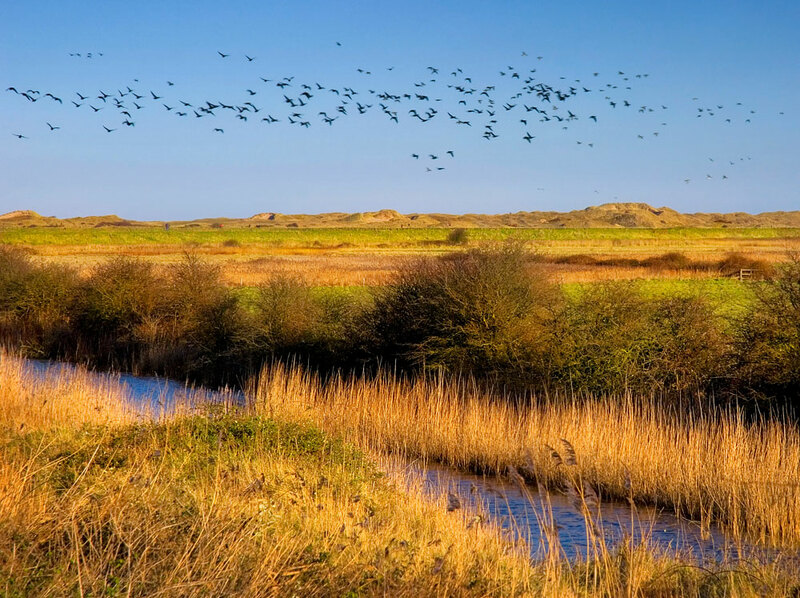 Continue walking on top of the floodbank and enjoy the spectacular views. Parking at Burnham Overy Staithe: Car parking is available on the harbour at Burnham Overy Staithe, just off the A149 Coastal Road.